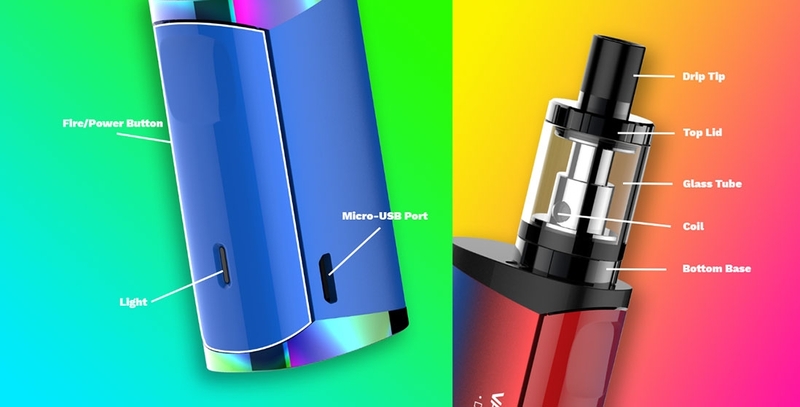 Vaporesso Drizzle Fit Kit is an all-in-one starter kit, consisting of 1400mAh built-in battery and 1.8ml tank. 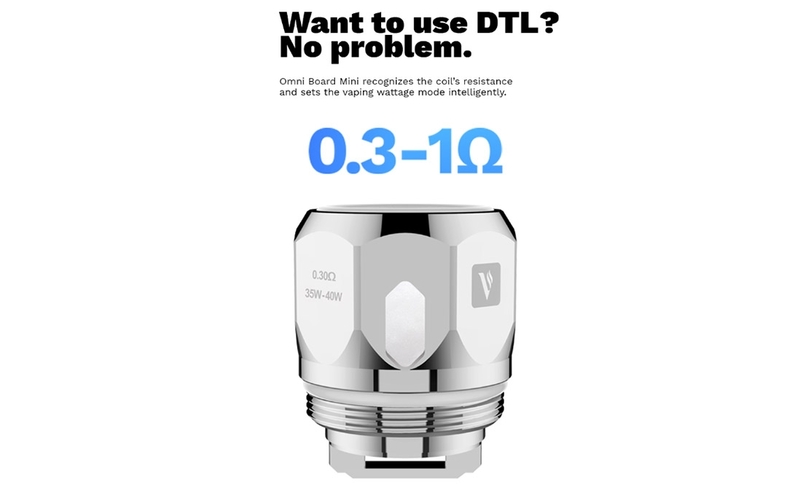 The Drizzle Fit utilizes OMNI Board Mini chip which sets the vaping wattage mode (MTL/DTL) intelligently through recognizing the coil's resistance, so that you can freely switch from MTL to DTL mode. 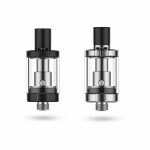 Working with the EUC CCELL Coil that is optimized for high nicotine satisfaction, the Drizzle Fit will bring you pure and smooth flavor. 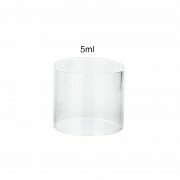 Top filling design and top adjustable airflow system make refilling easier and avoid leakage. The Drizzle Fit features an all in one button as the firing button and LED indicator and supports 1A quick charging. ➤ 1. 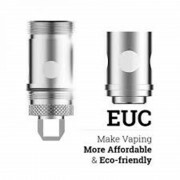 The EUC CCEL Coil brings you pure and smooth flavors with high nicotine satisfaction. ➤ 2. 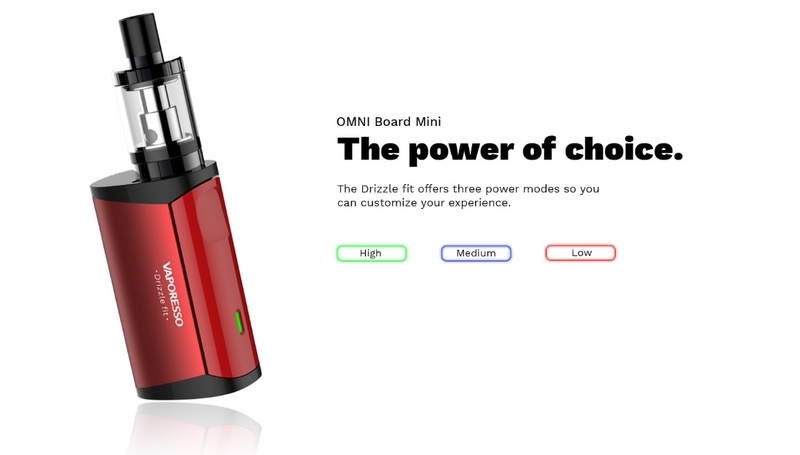 OMNI Board Mini chip is powerful and safe. ➤ 3. MTL and DTL vaping modes can be switched. ➤ 4. The Drizzle Fit integrated the all in one single button as the firing button and LED indicator. ➤ 5. With three power modes, you can customize your experience. ➤ 6. 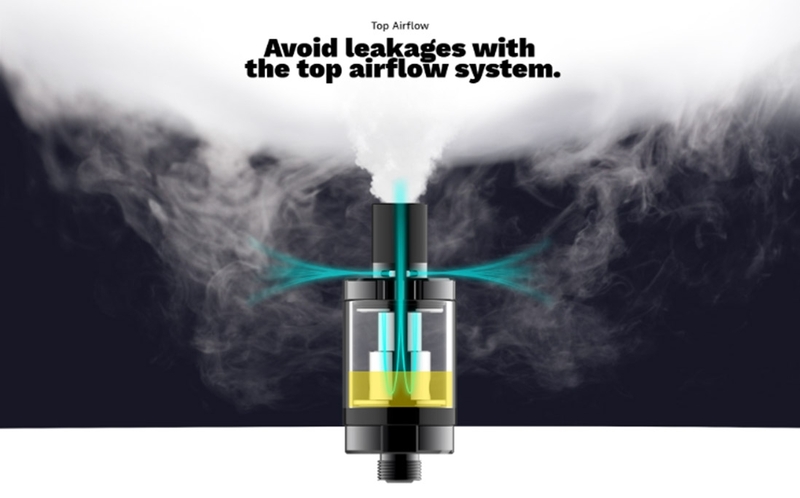 The top airflow system avoids leakages. ➤ 7. The Drizzle Fit utilizes top filling system. ➤ 8. 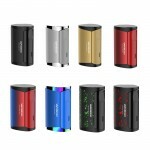 With 1A charging function, the Drizzle Fit can be fully charged effectively and quickly. 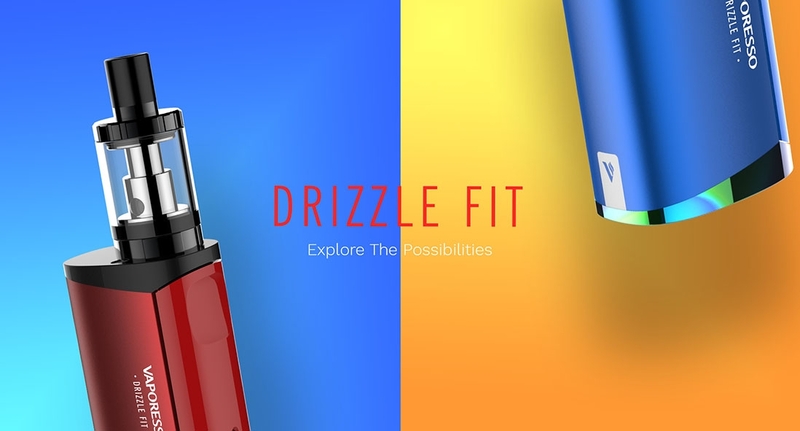 Simply charge Drizzle Fit by connecting it with a computer, a power bank, a wall adapter or other electronic devices (with a USB port that is capable of providing a charge) via USB cable, also you can purchase an inexpensive USB car adapter, thereby affording you the ability to charge the Drizzle Fit in the car. This is particularly useful while you are on long drives and road trips. ❤ Please read the user manual carefully before using this Drizzle Fit. 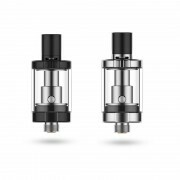 ❤ Vaporesso Drizzle Fit Mod and Vaporesso Drizzle Tank are also available in Cloumix. ☞ 6 months warranty period for Drizzle Fit.